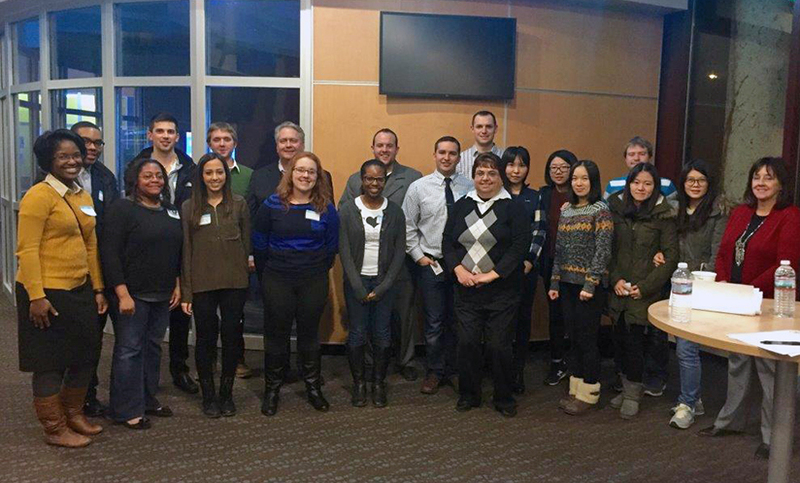 School of Management students were inducted as new members of Beta Alpha Psi on January 29, 2016. Beta Alpha Psi is an international honor and service organization that recognizes high scholastic achievement in Accounting, Finance, and Information Systems. The goal of Beta Alpha Psi is the development of confident, ethical, and professional leaders. Faculty advisors to Beta Alpha Psi include Dr. Cathy Miller and Roz Nowosielski. Congratulations to our new inductees into Beta Alpha Psi!